Bailey Avenue is one of the longest roads in Buffalo, and a major north-south corridor, running from Abbott Road in South Buffalo to Ridge Lea in the Town of Amherst. U.S. Route 62 follows Bailey Avenue for most of its alignment. The Route 62 designation has applied since the 1930s. 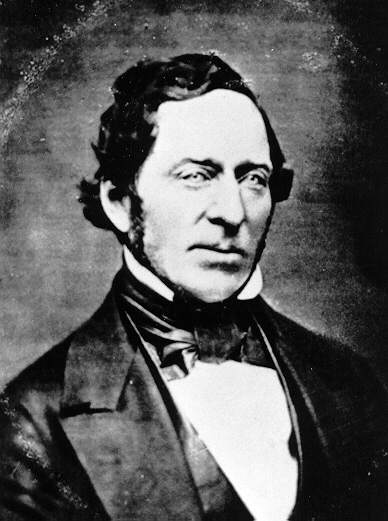 William Tracey Bailey came from a pioneer American Family. His first American ancestor, John Bailey, crossed the Atlantic in 1630. William Bailey was born in Connecticut in 1804. At age 26, he felt the pioneer spirit of his ancestors and traveled through the wilderness of Western New York. He arrived in Buffalo two years before Buffalo became a city. Mr. Bailey married Mary Esther Clark, of his hometown. His wife’s father was a wealthy Revolutionary War veteran and provided many beautiful things for the Bailey family’s homes. The Bailey first settled in a large white house at Main and Pearl Street (the site later became the Teck Theater). At one point, the house was raided by Native Americans. The Native Americans were fascinated by the fancy carpets, which they had likely never seen. They cut pieces into the carpets to make moccasins. The Baileys later moved to a farm on the outskirts of the City. When William Bailey first bought his property, it was at the intersection of Williamsville Road and Batavia Street. Mr. Bailey extended and improved the narrow Williamsville Road to better facilitate the removal of lumber from his property for sale. In recognition of his improvements, the name was changed to Bailey’s Road. When the street became a part of the City of Buffalo, Mr. Bailey donated a mile and a half of his land that is now Bailey Avenue to the City. Batavia Street later became Broadway. 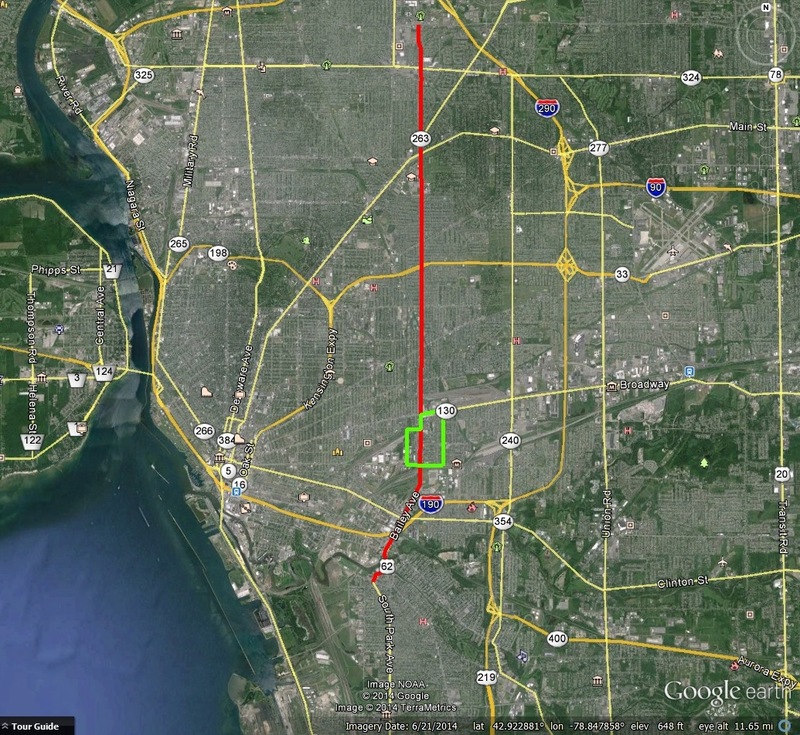 The Bailey farm and woods were bounded approximately by Dingens Street, Broadway, the Erie Railroad tracks, the West Shore tracks and the Village of Cheektowaga. In 1854, New York Central railroad built tracks across the rear of the Bailey Farm. Mr. Bailey sold the railroad the rights-of-way, as well as stone from his quarry for bridges, culverts and shops for the railroad. The Bailey family had five sons and three daughters. There was no school near the Bailey farm, so Mr. Bailey hired a teacher to instruct his children and his neighbor’s children. He later built a school on Broadway and allowed the teacher to live at the Bailey home as a guest of the family. The Bailey family attended Washington Street Baptist Church in Buffalo, where William was a deacon. After church, many of the families would enjoy a horseback ride or a walk in the woods to visit the Bailey farm for a feast. At the time, Buffalo was booming, but there were years that there simply were not enough jobs for the immigrants who continued to arrive in Buffalo. Mr. Bailey would allow the poor to cut wood on his farm, and every two weeks, Mr. Bailey would provide their families with flour, beans, lard, coffee and other foods. In 1856, Mr. Bailey built a house on Franklin Street near Tupper. The house was well-known in Buffalo because it had the first plate-glass windows in town. The house was later sold to the Altman family and was known as the Altman House. Mr. Bailey died in 1860 and is buried in Forest Lawn Cemetery. After Mr. Bailey’s death, his son Earl operated the limestone quarry on the farm. The quarry was located near where the NY Central railroad tracks cross Bailey Avenue. You can click on the map and it will open it as a larger image. All the maps are from google earth.